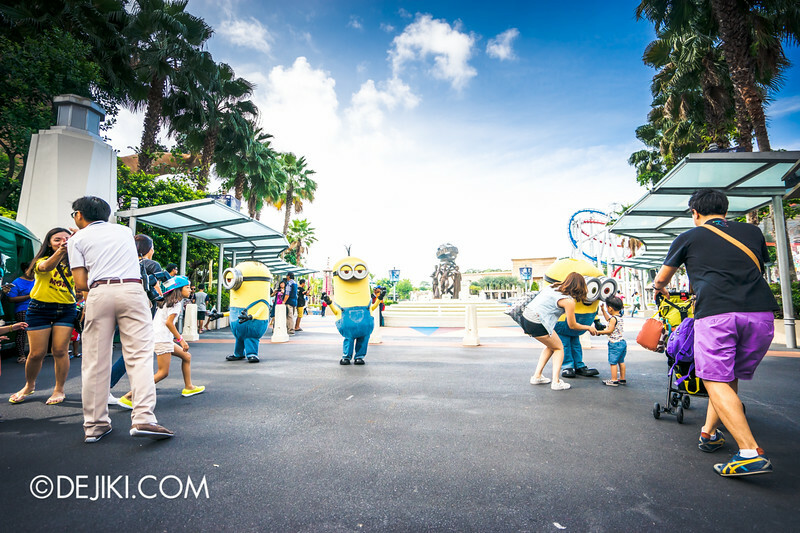 Read about Halloween Horror Nights 5, Battlestar Galactica and Minions in this month’s Universal Studios Singapore park update! Battlestar Galactica (BSG) roller coasters – dueling, or not? 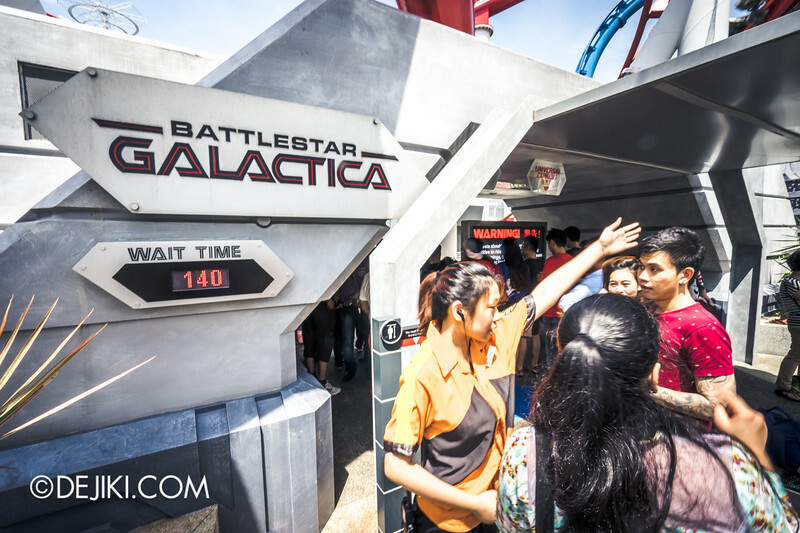 Long lines at the Battlestar Galactica: HUMAN vs CYLON roller coaster are common sights as the ride is overwhelmed by waves of enthusiastic guests. 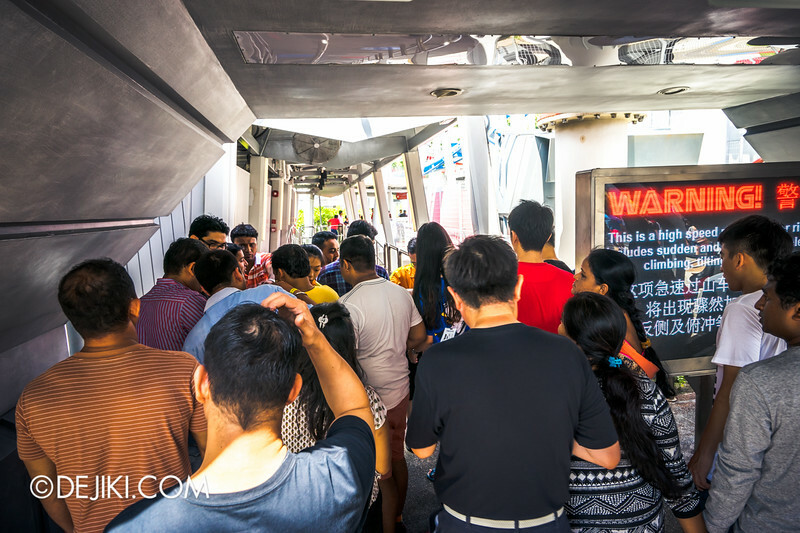 While the ride has improved tremendously on stability and overall experience, it came at a cost of reducing its capacity by half. 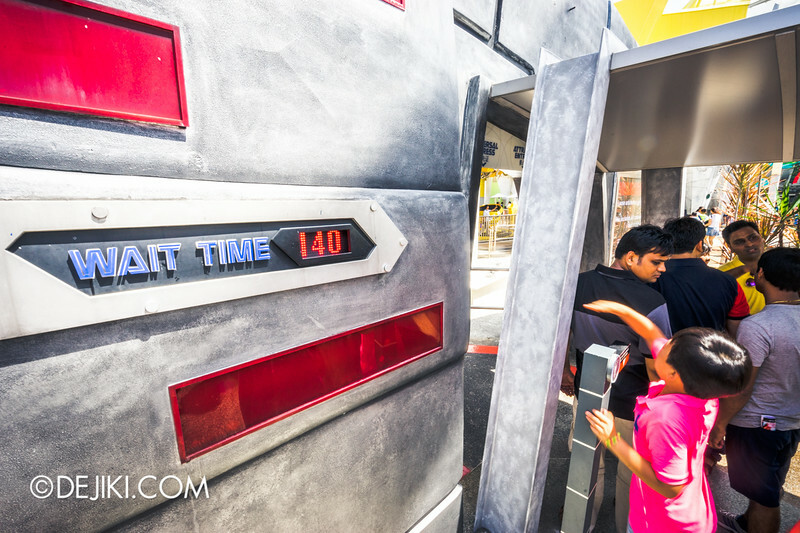 Apart from unusually quiet days, the wait times for BSG would still remain rather long compared to other attractions, and typically stabilise in the afternoon. Some friends have informed me that both HUMAN and CYLON roller coasters no longer launch and run in sync. This has been verified to be true on weekdays and weekends – I’ve observed this myself. It looks like the park might be doing this to increase the capacity of the attraction: by not waiting for the other platform to be ready to launch. Sometimes both sides do launch together – so it depends on your luck. This means that some guests may not experience the attraction’s unique dueling design. The long lines are often accompanied with crowds at both ride entrances. 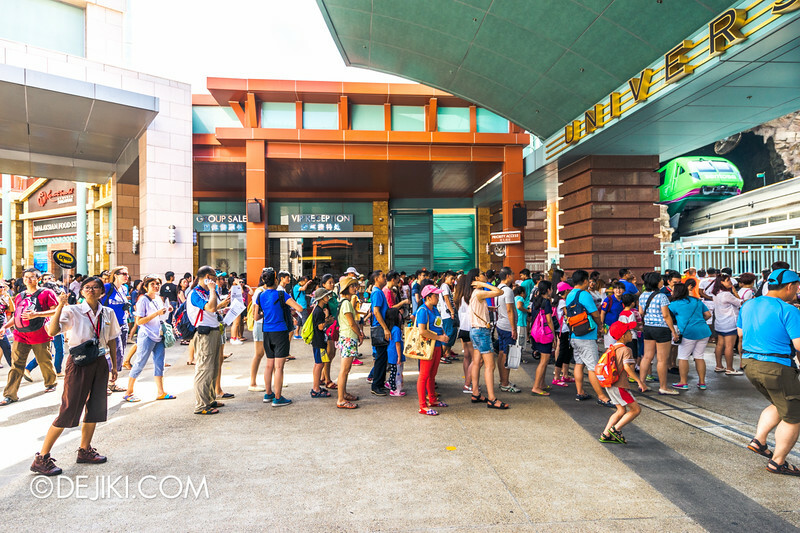 It’s a challenge to overcome this bottleneck, because it happens at other attractions (i.e. Revenge of the Mummy) too when guests simply try to walk in without realising that they can’t carry items into the attraction. Let’s make things easier for everyone: always remember to keep all your loose articles in the lockers provided! Anyway, we’ve been hearing something new at the Transformers meet and greet. If you did as well, let us know in the comments. 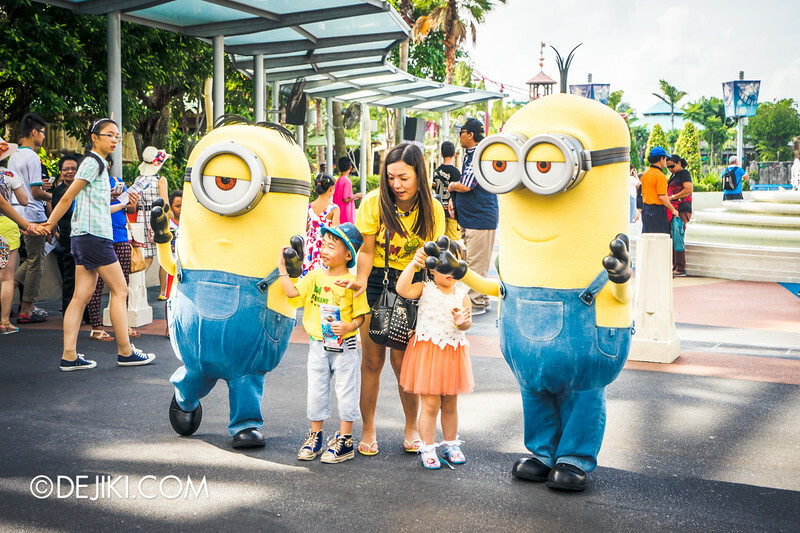 With the opening of the new Minions movie, USS has updated its Minions meet and greet. It now takes place at the end of Hollywood Boulevard, before the park’s iconic fountain. 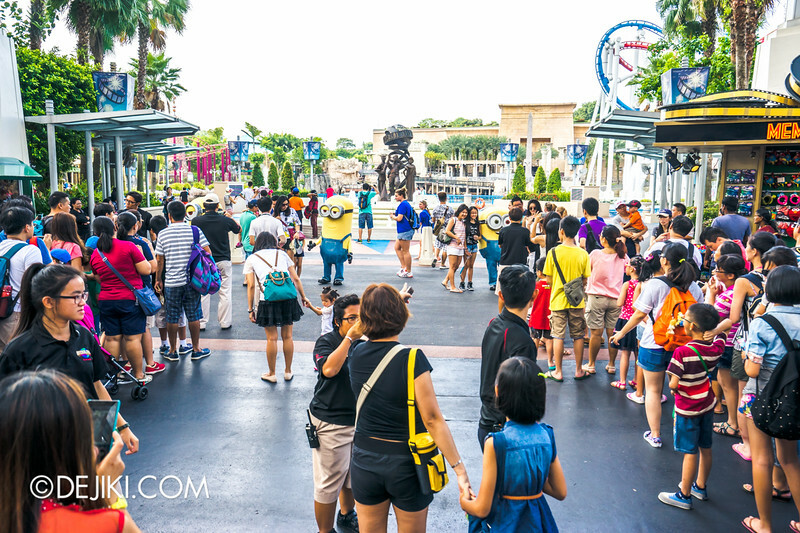 It does get chaotic at times – this is a high-traffic area of the Hollywood zone, and the park decided to split the photo op into two lines. Photos wise, it’s a much nicer backdrop compared to standing in front of a building facade. 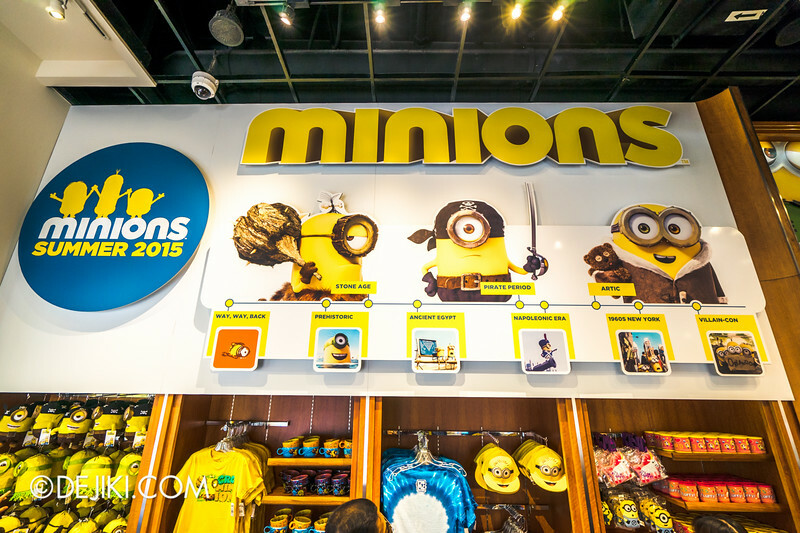 The store display at Universal Studios Store (Hollywood) was also refreshed. 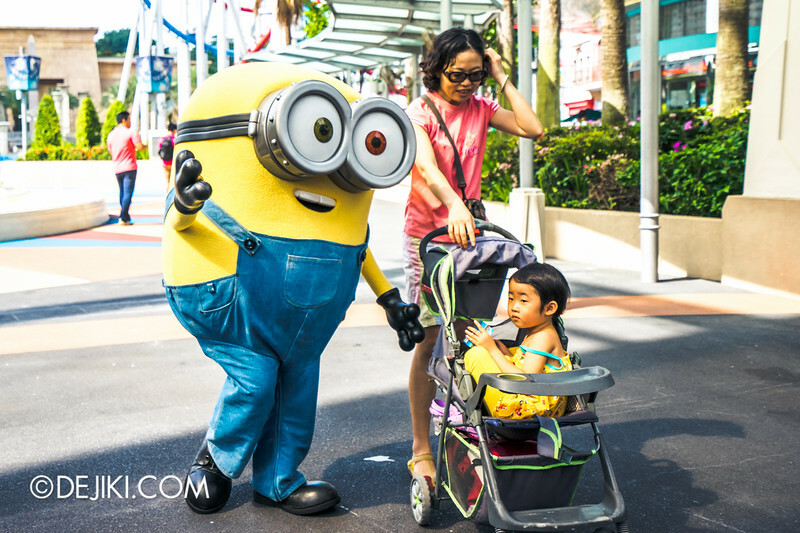 More minions! 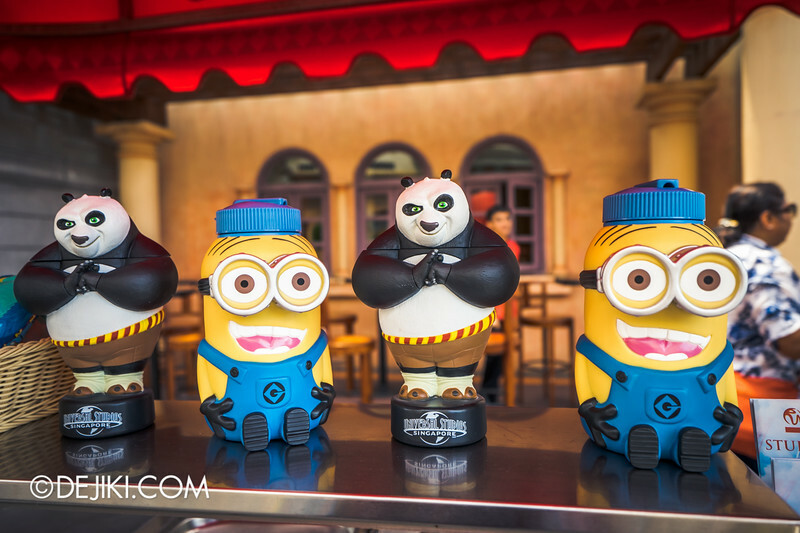 Shortly after the arrival of the new Minions, Po (Kung Fu Panda) was retired from Universal Studios Singapore’s line-up of Meet and Greet characters. Perhaps he will return to Singapore when the new film is released next year. One of the few things left would be this Kung Fu Panda sipper bottles. Grab them before they’re gone! 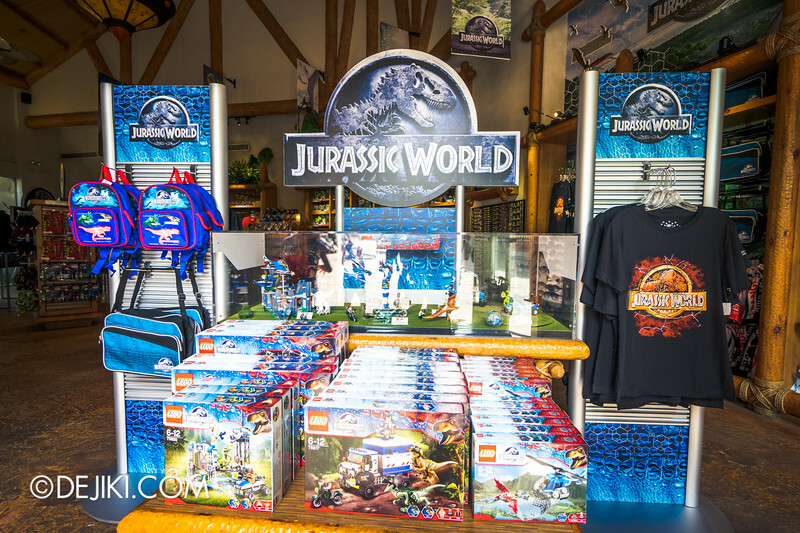 USS started stocking Jurassic World merchandise, as a tie-in with the new film. We’ve got T-shirts, pouches, mugs and even LEGO kits! 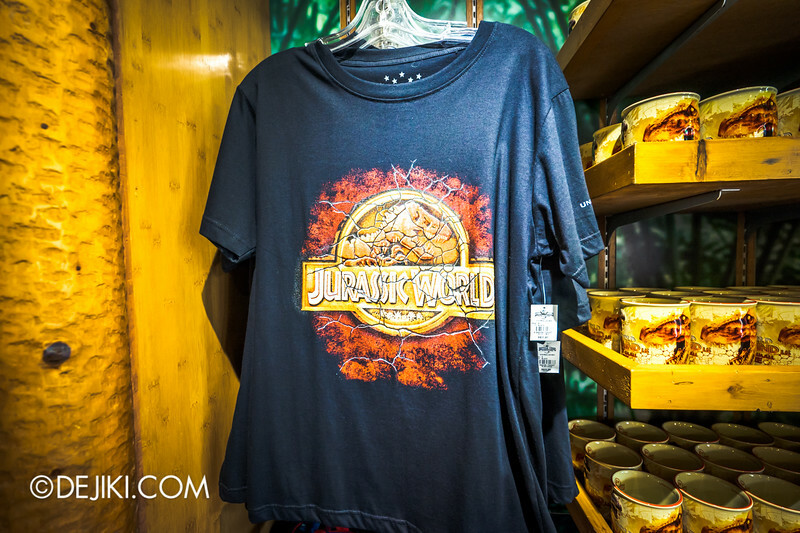 Grab some Jurassic World T-shirts for S$31.90 each. 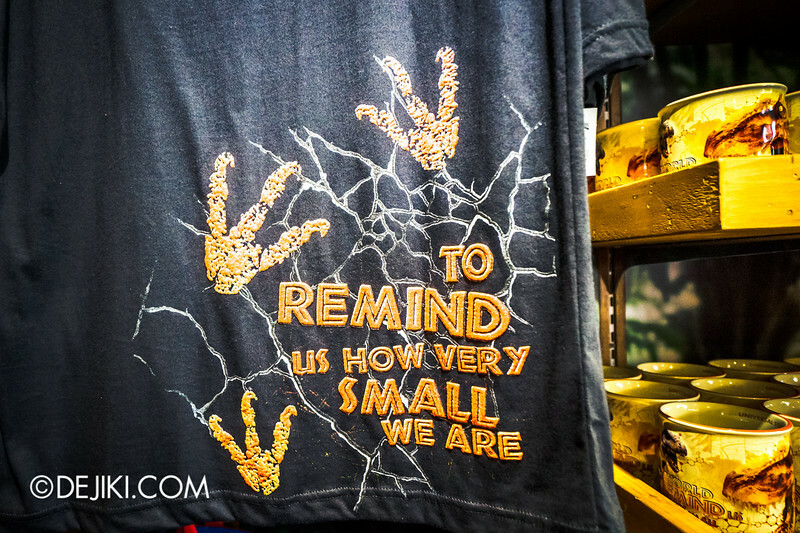 Well if that’s too gritty, check out the new line of cute dinosaur items. They’ve been around for quite some time now. 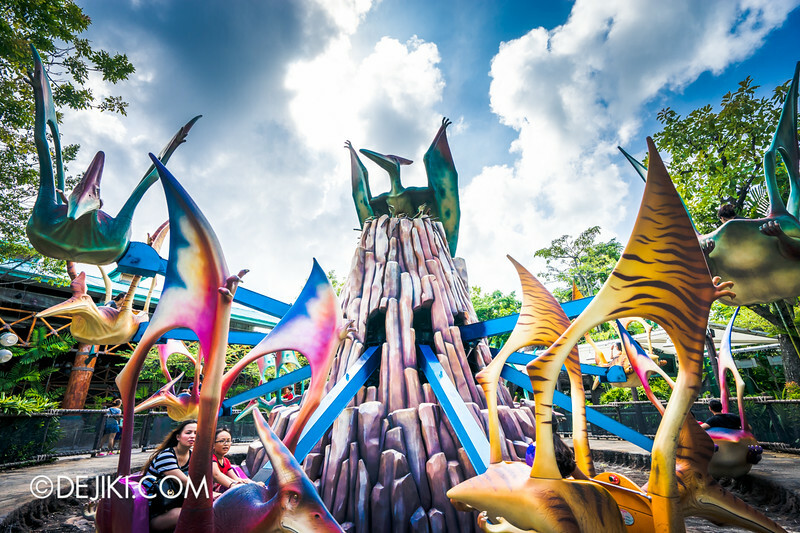 And at last – Halloween Horror Nights 5 news! UPDATE: Halloween Horror Nights 5 REVEALED. Read about it here! 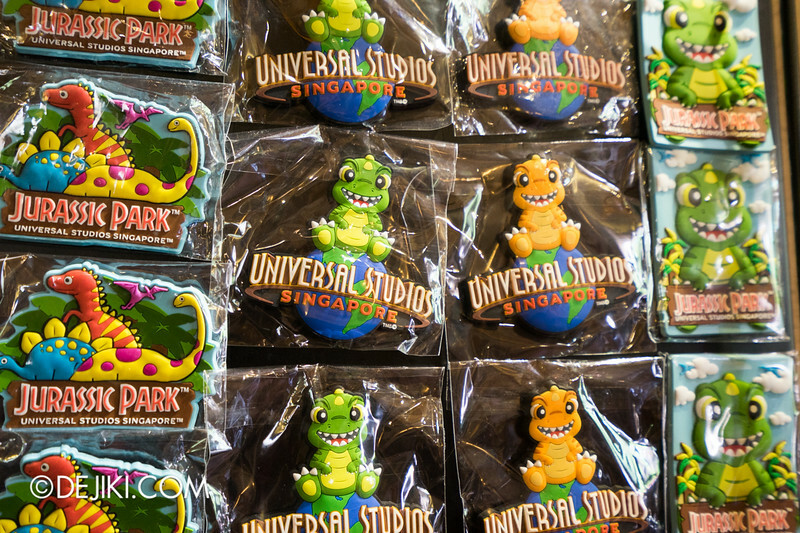 Universal Studios Singapore has started constructing Halloween Horror Nights 5 haunted houses sometime in late June. 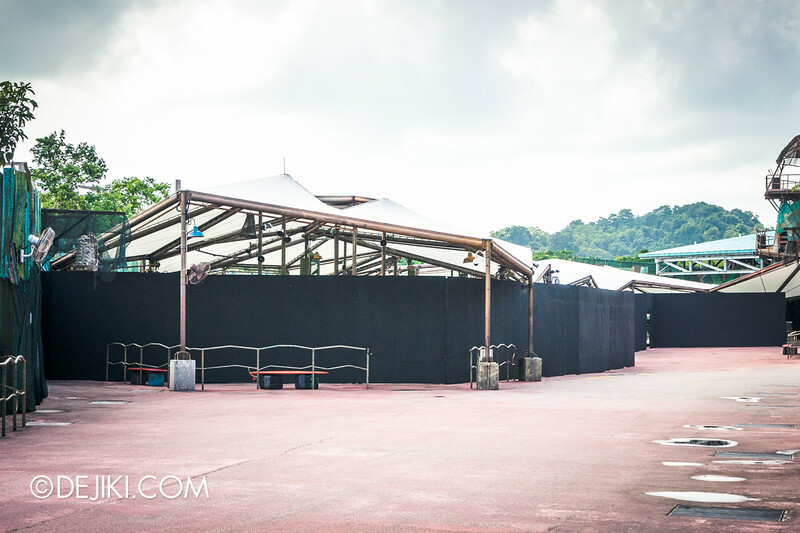 The same tents and black walls are at the usual park areas, such as Waterworld queue and back-of-house areas in Jurassic Park and New York. While this year’s concepts have been kept under wraps, one of the haunted houses will go ‘underground’. Would you enjoy escaping from sewer tunnels? Another new attraction is influenced by Chinese concepts of afterlife and the supernatural, with ‘paper houses’ (burned as offerings to the dead) as possible settings. Will it top Songs of Death (2013) as the most gut-wenching, Asian-themed haunted house at Halloween Horror Nights? Anyway – I’ve said too much. The Lights, Camera, Action! attraction will be closed for maintenance during the entire month of October. Perhaps the attraction’s space will be involved in HHN5, with some sort of overlay. Or at least the switchback area will be used as another attraction’s queue – which has been used to support Bogeyman (2014), Death Alley (2012) and The Pestilence (2011). What about scare zones? As the park has a regular parade show, major scenic elements along the route will only be placed sometime after the middle of August. The Hollywood Dreams Parade / Universal Party Parade will then be on hiatus until Halloween Horror Nights season is over. 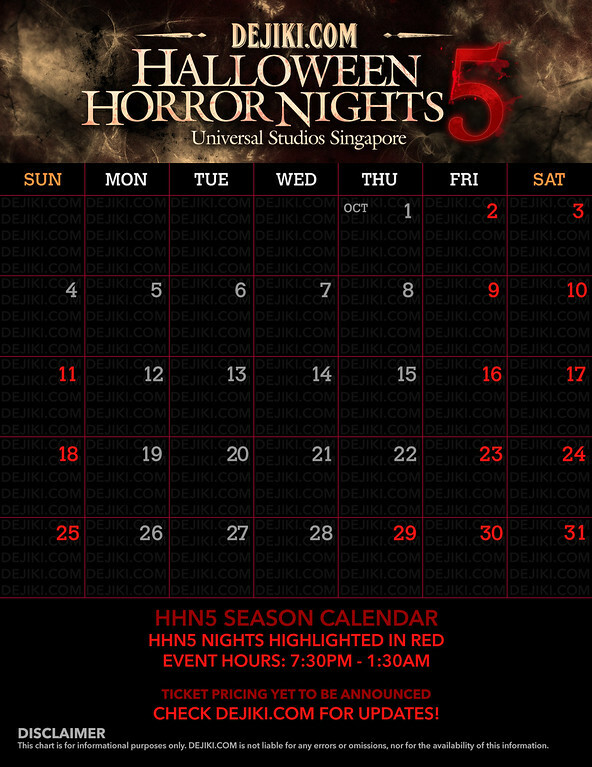 Anyway, here is the Dejiki.com Event Calendar for Halloween Horror Nights 5. In case you want to grab your cowardly friends early, as many seem to vanish as October draws near..
DON’T MISS: Read about Halloween Horror Nights 5 event line-up, ticketing, discounts and event details here! 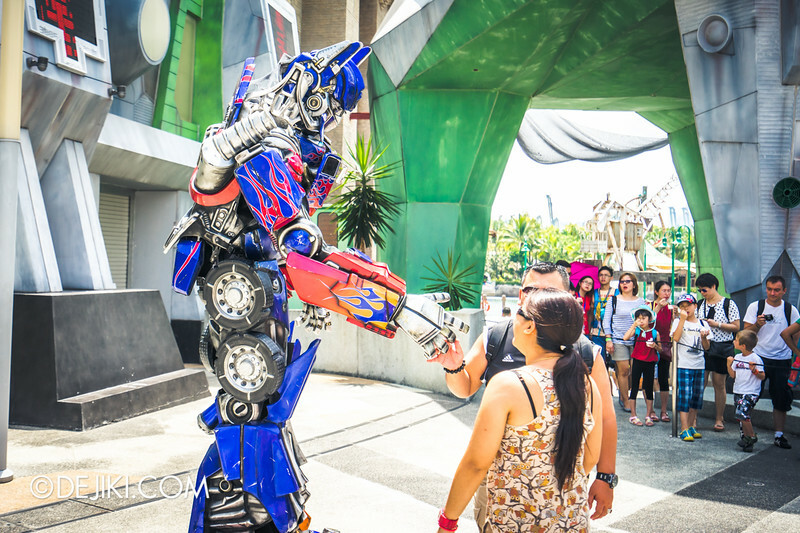 Something new about the Transformers meet and greet? 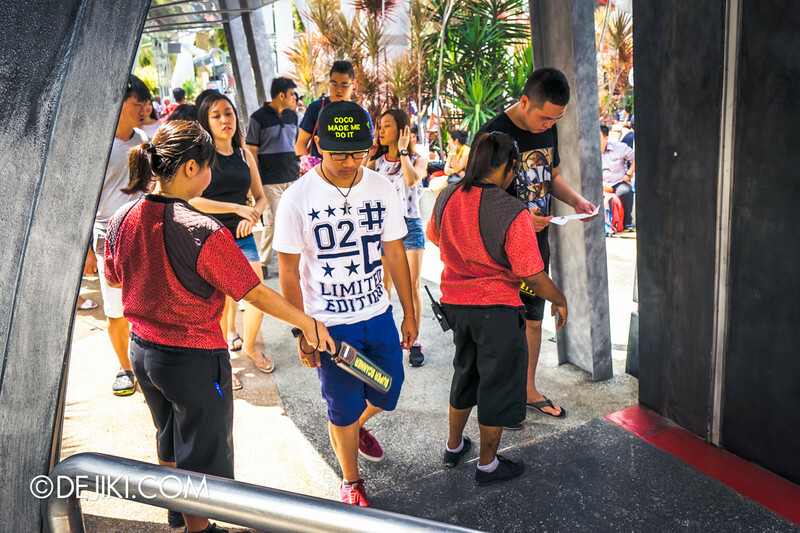 Could it be Megatron debuting at USS? He meets at the US parks and looks absolutely amazing. I do hope it’s him. A character fan can dream!